Read at least one book every week. But I’ve come to the conclusion that I don’t want to read a book every week. I want to savour books. I want to remember parts that made an impression on me, and think about what they mean. To me. 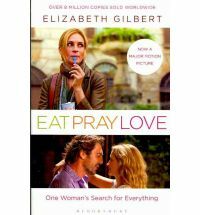 The book I’m reading now, Eat Pray Love by Elizabeth Gilbert has a lot to say and plenty that I want to remember. Like: when you interrupt others, you’re saying, “I believe that what I am saying is more important than what you are saying.” And that has to mean, “I believe that I am more important than you.” Not that I do much interrupting, but it’s an insight into those who do. And I’ve never read anything before that makes depression humorous. Maybe I should try that with social anxiety. I’ve taken so long to read this book that I’ve had to renew it at the library. But I’m totally OK with that. I’m also not beating myself up over not keeping up with the 80,000 words in 80 days challenge. I can’t write that fast – especially when I also have to work out what’s going to happen next in my story. But that’s OK, because joining that group of writers has made me think about my novel every day and I’ve got further with it than I would have done without that incentive. And maybe I haven’t kept any of those resolutions, but I’ve kept another one: not to hate myself to love myself. Thanks for popping in, Sarah. I love myself though I definitely have room for improvement. I found you through blog hopping and as I too live in Jerusalem, am from London, aspire to be a writer, and have temproarily reduced reading for motherhood – I thought I’d say Hi. Hi! Nice to met you. I see we have something else in common – I’m also a Virgo. My children are now grown up and don’t take up my time – theoretically. I so agree with you about savoring books. I have also referred to this book in my blog. In my mind, for my life, Elizabeth Gilbert has given THE answer to why we hang on to relationships that don’t work. She’s also the only writer I’ve read who has written humorously about depression. Yeah I’ve made a lot of resolutions like the one you’ve shared here that I’ve quickly given up on too. And that’s ok. It just showed me that I wasn’t really as interested in the resolution as I thought I was and it wasn’t important enough to me. I’m learning that less is more with resolutions too. I kid you not, I’ve set 15 resolutions or so usually on New Years, and somehow I thought I was going to be capable of doing all that. They were all very different and not really related. What I needed was a focus and just a few prioritized goals to dedicate to. “Loving yourself” is a very important resolution and not an easy one at times when you are frustrated with yourself! I’m glad you’ve been able to focus on that and it has helped. But you’ve kept the most important resolution and your blog post today (yesterday) is a testimony to that.